Barracuda is pleased to announce the release of Barracuda Backup version 6.3. This release is currently in early availability (EA) and will be generally available (GA) in the fall. You can read the press release here and the release notes here. When it comes to regulatory compliance, what are your options? Regulatory compliance often requires companies to keep various conforming email data for specific periods of time – and a regulatory audit will require the company to quickly produce that data or face fines. Because non-compliance can carry stiff penalties, companies are naturally concerned that compliance archives are secured. This simply isn’t something that can be done in a public cloud when another vendor is managing that data and only segregating it from other data. These situations require a compliance repository, which is often an archive kept on-premises or in a different, directly-managed cloud environment. The Barracuda Message Archiver (BMA) enables customers to retain and retrieve all email communication while reducing storage requirements. It's ideal for organizations looking to reduce their email storage requirements and boost user productivity with mobile or desktop access to any email ever sent or received. The cloud-connected appliance uses the Barracuda Cloud to move information to the cloud as a secondary tier of storage. In addition, the Barracuda Message Archiver also provides a powerful, yet simple platform for eDiscovery and compliance. As a government municipality, the City of Lebanon, TN is required to store emails for up to 7 years. The Barracuda Message Archiver allows them to automate the archiving process, removes strain from their email servers, and gives them the ability to easily retrieve stored messages. 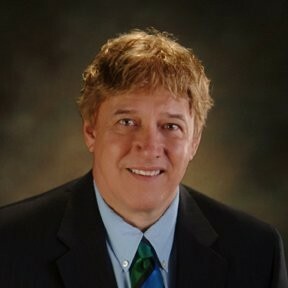 For more from Rich Turner, visit his blog here and connect with him on LinkedIn here. Today we are pleased to announced that Intronis MSP Solutions by Barracuda is now operational in the UK. Intronis MSP Solutions offers solutions for managed service providers who are looking to simplify service delivery, management, and pricing for business customers. 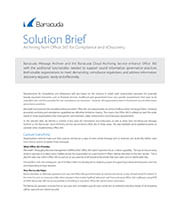 These solutions include the new Barracuda Backup – Intronis MSP Edition, which was introduced to customers last month. We have a dynamic and vibrant MSP community in the UK, and demand for simple and secure data protection solutions is growing rapidly. I look forward to expanding Barracuda’s channel in the UK to build this business, and engaging with MSPs to help them grow and add greater value to their managed services portfolio. 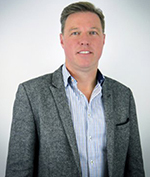 Jason Howells, EMEA sales director, Intronis MSP Solutions at Barracuda. Barracuda acquired Intronis in 2015. For more information on today's announcement, see our press release here. For more information on Intronis MSP Solutions by Barracuda, visit www.intronis.com. Drew Marine is featured in this video and case study on Barracuda Backup solutions. We talk to Allwyn Griffith Director of Enterprise Infrastructure, about the challenges of tape backup solutions across Drew Marine's global network. Drew Marine provides technical solutions and services such as fuel management, water treatment, cleaning programs, and safety products. They to the marine industry. Drew Marine’s global network offers onboard and shore-side technical support in each of their 20 locations, which houses more than 600 employees. Cryptolocker and similar ransomware attacks are nothing new, and we've blogged about them before. 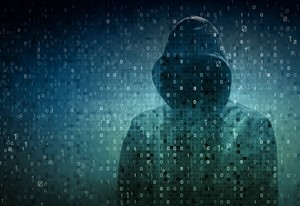 As we said over a year ago, the attackers using these methods continue to adapt their technology and business model to circumvent law enforcement officials and user defenses. One of the police departments that was hit with ransomware in Massachusetts didn’t pay the ransom, yet were able to get their files unlocked. How did they do this, when even computer experts acknowledge the encryption is nearly unbreakable? What they turned to was something quite basic. They had a long-standing policy of nightly backups of all police data. They also had a savvy IT manager – the minute he realized users were being infected he alerted all the users so additional files didn’t get encrypted. He then turned to the handful of users with encrypted files – and restored their mailboxes to last evening’s backup. The award-winning, purpose-built Barracuda Backup is one of the most versatile and flexible data protection options available. It can be deployed as a physical or virtual appliance, or as a cloud-to-cloud solution. The Barracuda Backup Vx can now be purchased as a per-socket subscription for virtual hosts, including software replication. This is a software solution that can be deployed on VMware and Microsoft Hyper-V, and includes the same integrated backup functionality as the physical Barracuda Backup physical appliance. Barracuda Backup Vx also includes a new metered Barracuda Cloud Storage plan. Barracuda customers can deploy this virtual appliance with built-in data redundancy and the ability to move data out of the cloud without additional bandwidth charges. Why is Locky so dangerous? In our last post we discussed the evolution of ransomware, and we covered some of the reasons why ransomware was spreading so quickly right now. In this post we'll go into more detail on that, with emphasis on what makes Locky so dangerous to potential victims. Locky was identified in mid-February, and within 2 weeks had become the second most prevalent version of ransomware around the world. Locky has been spread primarily through spam email with Word attachments. 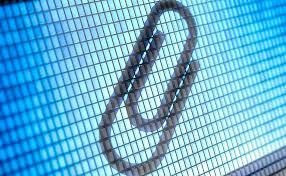 The attachment contains a malicious macro and is usually presented as an invoice. When the user attempts to open the Word document, the text is scrambled and the user is instructed to enable macros. Enabling the macros will allow the virus to contact a remote server, download an executable, and run the file. This executable is the Locky ransomware that will execute immediate and begin to encrypt the files on the computer and unmapped network shares. Locky has also used .js and .zip file attachments to infect PCs. [Read more…] about Why is Locky so dangerous? Ransomware has been dominating the news for several weeks, and is likely to stay in the news for most of the year. Ransomware is a distinct type of cyber attack, in that it extorts payment from the victim in exchange for allowing access to something that was encrypted in the attack. The most prevalent type of malware used in this kind of crime is ‘crypto-ransomware', which normally encrypts the files on the compromised system, and then demands a ransom in return for the ability to decrypt and recover the files. The latest iteration of crypto-ransomware is called Locky, and is the most advanced version of ransomware we have seen in the wild. Do I really care about PST files? Do I really care about PST files? Didn’t Exchange stop supporting them years ago? You only care about PST files if you have users that need to, or want to, access them. Yes, Exchange 2010 introduced the Archive Mailbox and eliminated PST files, but you need to ingest PST files into that archive mailbox if users want to access them. And getting to them from Office is nearly impossible – not only do they need to be moved off of users’ desktops, they need to be migrated to the Microsoft cloud, which can be a lengthy process. [Read more…] about Do I really care about PST files?